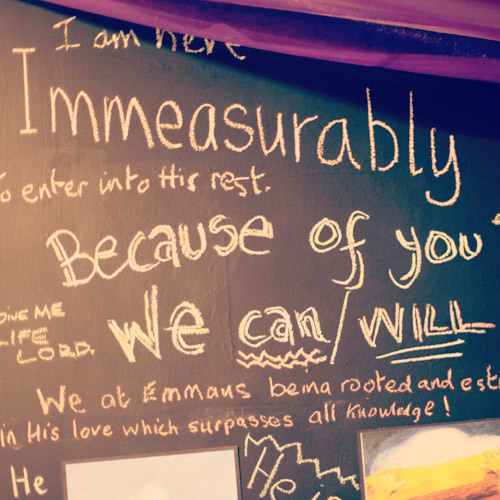 Prayer is central to everything else that we do at Emmaus Rd; the very heartbeat of our community. Our vision is to be a house of prayer for all nations. The two main ways which we engage in prayer as a community are through 24-7 prayer weeks, and at Kingdom Come evenings. 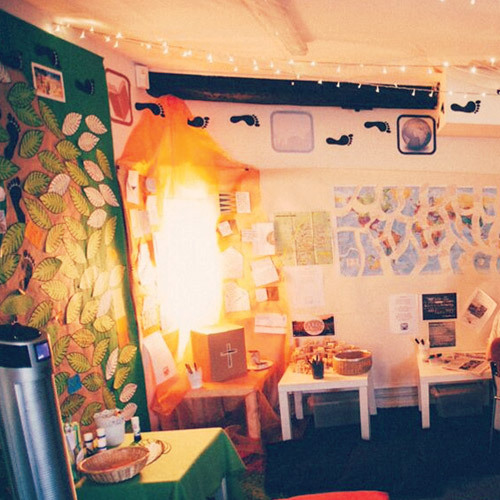 We have prayer rooms in both Guildford and Woking. In Guildford, we run continuous prayer twice a term – individuals, families or groups can book hourly slots and the aim is to fill every hour, day and night, for a full week of uninterrupted prayer for a full week. In Woking, we are building up our prayer rhythms, praying non-stop for 12 hours over two consecutive days twice a term. As people have spent time in the prayer room we’ve seen many answers to prayer. 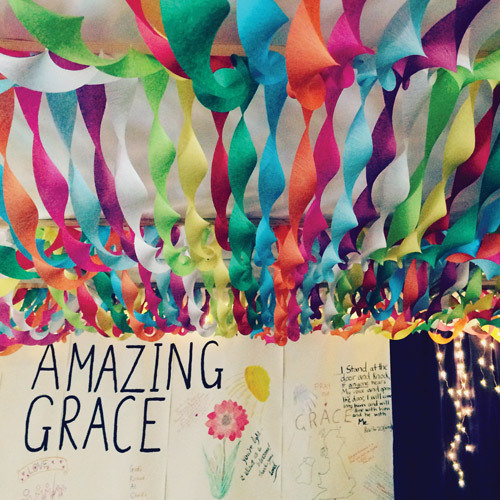 We regularly redecorate the room around a particular theme and it’s always an amazing space to get away and spend time with God through prayer, worship & creativity. Our next Guildford prayer week prayer is 29th April – 5th May 2019. Sign up here. As part of our prayer weeks we also hold Kingdom Come evenings. Join us for the next one on Wednesday 1st May, 7.30-9pm at The Founders Studio. 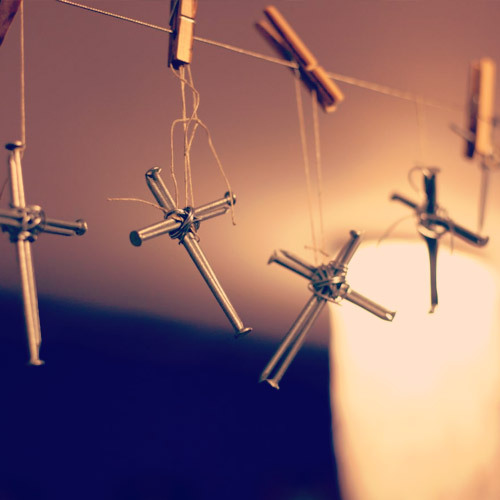 If you are committed to praying for the life of the church, sign up for Prayer Mail to receive regular updates.